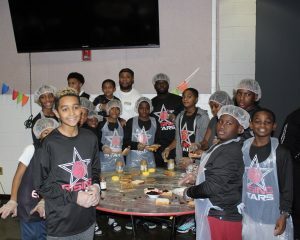 Rising Stars student-athletes are not your average kids. 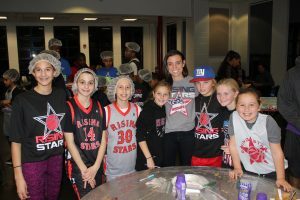 Instead of having a party, over 150 Rising Stars families and their coaches chose to celebrate the holiday season by making 1,000 sandwiches for the homeless and under-fed population on Long Island and NYC. Instead of munching on snacks and eating candy canes, they considered how it might feel to be hungry and have to wait to eat. 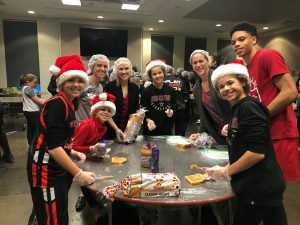 Elementary through high school aged kids, their parents and coaches stood side-by side, working together to make sandwiches, individually wrap them, and include notes of inspiration and love for the homeless. If that’s not the definition of TEAMWORK, I don’t know what is. 501(c)(3) not for profit charitable organization.